Virtualization and cloud computing allow you to take your computing capabilities, access and cost-efficiencies to the next level. Whether you are looking to harness these benefits for your organization’s internal users or want to host applications and extend software as a service to outside customers, SA can help. Cloud computing is the on-demand delivery of applications or infrastructure that is transforming the way IT serves businesses. You have the flexibility to choose between public or private cloud and on-site or off-premises hosting; and SA has the expertise to help you choose which is right for you. We can help you optimize your migration so you can benefit from the power, elasticity and cost-efficiency of the cloud at your own pace and in your own way. Want to develop – and possibly market — cloud solutions? Windows Azure is designed to offer a simple, reliable, and powerful platform for creating web-based applications. With Windows Azure, SA can implement the best model to deploy applications to your organization – whether hosted on your own servers, hosted by Windows Azure, or using a hybrid model. Either way, SA will help you speed application development, simplify deployment, and allow you to respond quickly to business needs without managing technology infrastructure. Office 365 gives you virtually anywhere access to the latest Office applications, plus cloud-based IT services including business email. Watch a quick video on what Office 365 is and how it works: Want to try before you buy? 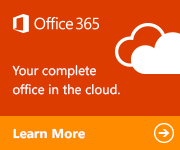 Click the box below to start your free Office 365 trial today. Keep your Windows-based PCs and mobile devices well-managed and more secure from virtually anywhere with cloud-based management tools, reports and an upgrade license to the latest version of Windows. SA deploys Windows Intune to help your users securely access targeted applications for the devices they use to get work done. SA turns to Hyper-V to help organizations of all sizes benefit from the considerable cost savings and operational efficiencies available with virtualization. It breaks all previous virtualization limits, for unprecedented performance in scalability, high availability and disaster recovery. With industry leading size and scale capabilities, Hyper-V is the platform of choice for you to run your mission-critical workloads.